The campus is served by the underground (Stations Cité Scientifique and 4 Cantons). Also, 9 Transpole buses stop at 4 cantons station. Download the map of Transpole network. Here, download the map and visit the V’Lille website. 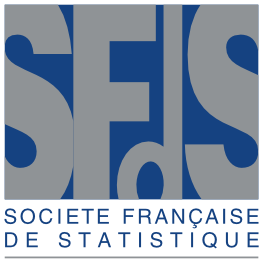 If you are at the “Lille Flandres” station, you can take the underground line 1 (Villeneuve d’Ascq – 4 Cantons Stade Pierre Mauroy direction) and stop at Cité Scientifique or 4 cantons station. If you are at the “Lille Europe” station, you can take the underground Line 2 (Lomme -Lomme Saint Philibert direction) and stop at Lille Flandes station. Then, you can take the underground line 1 (Villeneuve d’Ascq – 4 Cantons Stade Pierre Mauroy direction) and stop at Cité Scientifique or 4 cantons station. 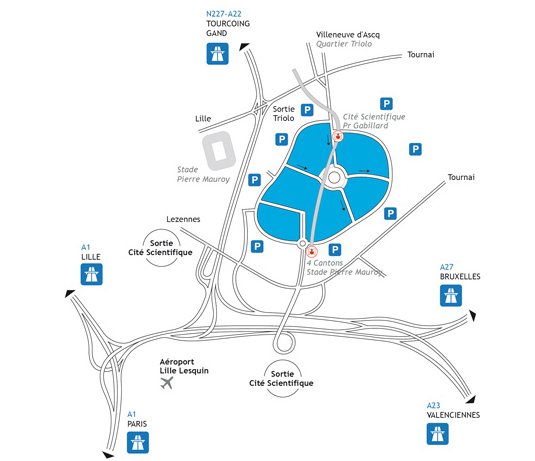 Visit the website of Lille airport. Leaving the airport, you can take the shuttle to the town center. Here, visit the website.